Tell us your story… I met my husband on a dating app called OK Cupid! I was in a season of my life where I felt very ready to be in a long-term relationship. Living in New York City, I found it very difficult to make a deep connection with someone I felt chemistry with (especially with similar faith and values). I decided to go online because several of my friends recommended it as a great way to meet people! I had been a member of the app for only one week when I met my future husband! Where did you two tie the knot? Our wedding venue was Poetry Springs in Texas. We chose that venue because both of us have family that live in that area and we figured it would be easier for everyone to get together. Also having a wedding in Texas would be a lot less expensive than having it in New York. Spill the details about your wedding! The theme was ‘Woodland Fairy Tale Wedding’. I was very inspired by the deep jewel tone color scheme of the Dolce & Gabbana Alta Moda runway show. There were plenty of flowers and greenery… So romantic! What was your favorite moment? Saying I do to the man of my dreams. 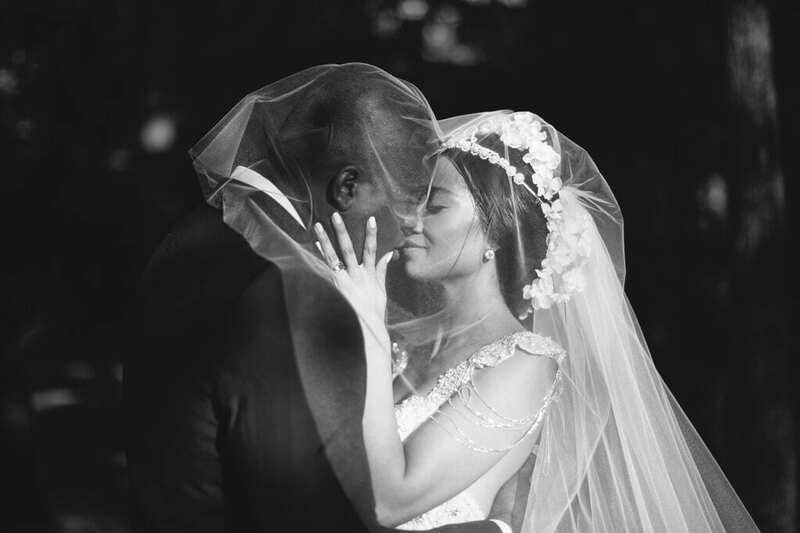 Read more about Nika and Emeka’s beautiful wedding here: “I WAS LOVED BEFORE I MET YOU”, “MY FINAL MOMENTS AS A SINGLE LADY”, “BEYONCÉ SHOWED UP TO MY WEDDING”, “THE PARTY TO THE MAIN COURSE”, “EVERYTHING ELSE I FORGOT ON MY WEDDING DAY”.